Italo Bonera, born in Brescia in 1962, keeps himself busy with fiction - above all as a reader - and with photography. In 2004 with "American dream" he won the Frederic Brown award for short stories, organized by Delos Book. Together with Paolo Frusca he is the author of the Ukraonic novel "Ph0xGen! ", Finalist of the Urania prize, published in 2010 by Mondadori in the Millemondi Urania "Un impero per l'inferno". The thriller "Io non sono come voi (I am not like you)", (Gargoyle 2013) is set in the near future and also a finalist in the Urania prize. Also in collaboration with Paolo Frusca, he published the anthology "Cielo e ferro (Sky and iron)" (La Ponga 2014). In 2017, His most recent novel is "Rosso noir. Un pulp italiano (Rosso noir. An Italian pulp) (Meridiano Zero, 2017), set in the Seventies. 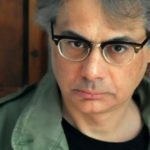 His stories appear in several anthologies: " La cattiva strada (The bad road)" (Delmiglio, 2015), "Continuum Hopper" (Della Vigna, 2016), " Propulsioni d’improbabilità (Propulsion of improbability)" (Zone 42, 2017), " Sarà sempre guerra (It will always be war)" (La Ponga, 2017 ) and in the magazine "Inchiostro" (2016).